The world we live in is tough on skin. This is why BetterYou™ Magnesium Oil is the main ingredient in BetterYouTM Magnesium Body Lotion. A powerful mineral, it is key in helping repair and replenish cells, improving elasticity and overall skin health. Which means your skin is ready for whatever the day has in store. 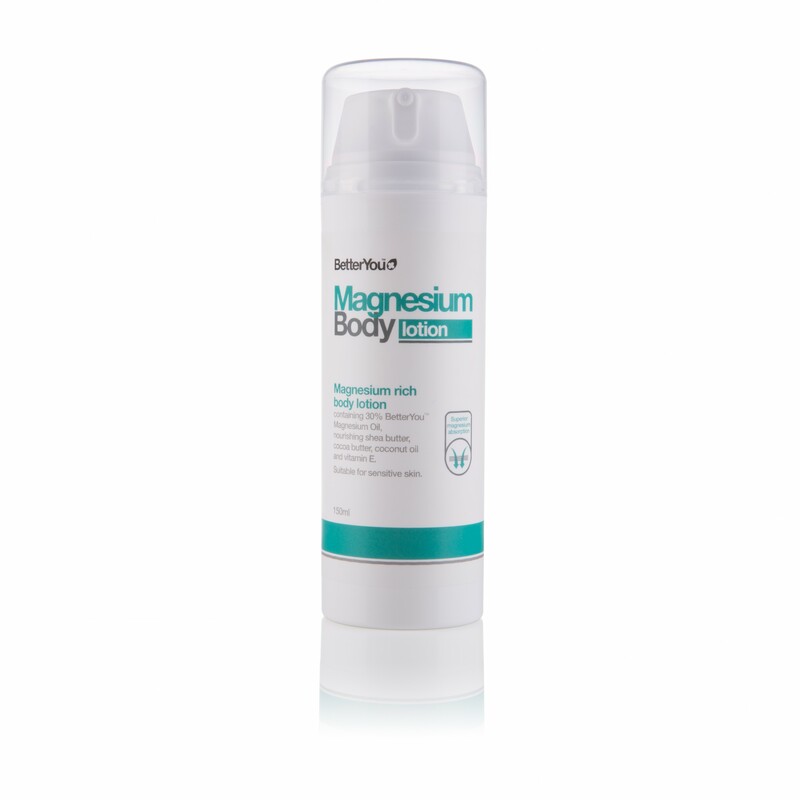 Magnesium Body Lotion contains 30% BetterYou™ Magnesium Oil combined with shea butter, cocoa butter, coconut oil and vitamin E. When used daily this light formulation will moisturise and hydrate skin to promote a healthy skin glow. Dematologically tested, BetterYouTM Magnesium Body Lotion has passed the most rigorous of trials so that you can be confident of its suitability for, and effective support, of the most sensitive skin conditions and the harshest of modern environments. Gently massage BetterYouTM Magnesium Body Lotion into clean, dry skin. For use all over the body. Paraben free. Not tested on animals.